When I run Quicken / Quickbooks the application doesn't look right, everything is blurry, buttons are not displayed properly, the resolution is pixelated and program's interface is too small. Quicken, Quickbooks and many other Windows-based programs are not adapted for Retina display resolution, therefore Windows resolution becomes very high thus in-program fonts get too small, user interface buttons or images are not rendered properly. You can optimize resolution settings either in Windows virtual machine's configuration or in Quicken / Quickbooks. 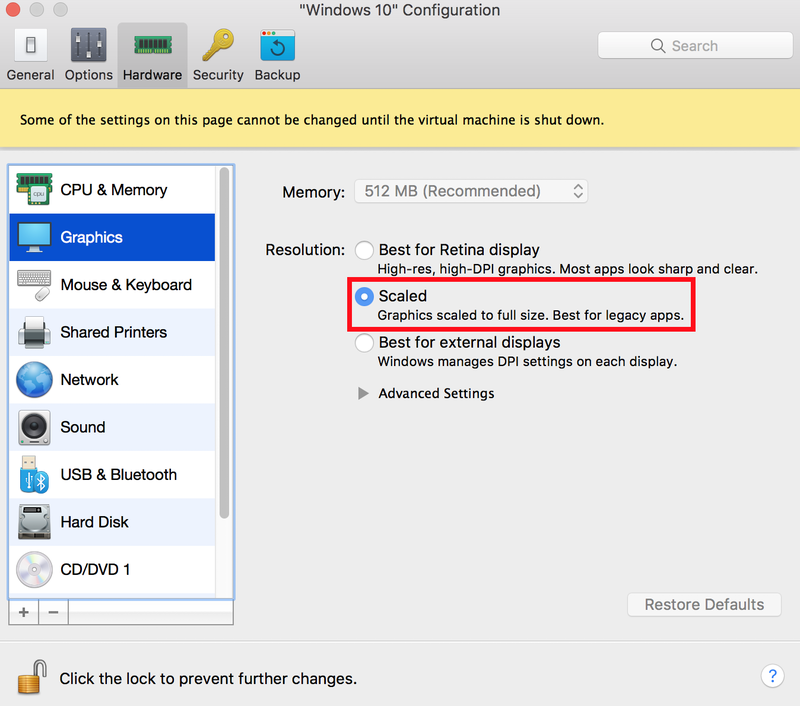 In the virtual machine's configuration go to Hardware > Graphics > change the resolution type to Scaled mode. NOTE: There was a major Scaled mode improvement in Parallels Desktop 13 in comparison to the previous versions. If you have Windows 10 Creators Update (1703 build) or later you can change resolution scaling for Quicken / Quickbooks in its Properties. 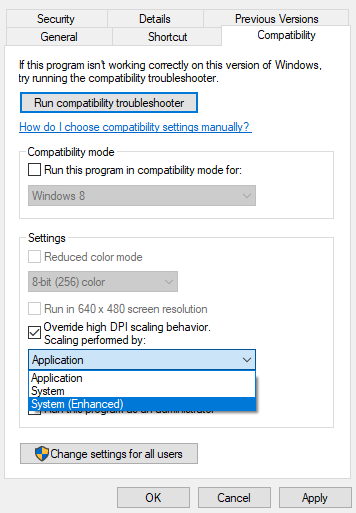 Right click on the application executable > go to Properties > Compatibility > Settings > check Override high DPI scaling behavior checkbox > then select System (Enhanced) setting > hit OK > Apply. NOTE: You can check what Windows 10 build you have using the official Microsoft article. For more information about Retina resolution issues in Windows-based programs refer to KB119926.